The DiversaCut Sprint vegetable dicer from Urschel Laboratories is a high performance small dicer that produces a variety of crinkle or flat slices, strip cuts, or dices. With a stainless steel motor and body and hinged access panels, the DiversaCut Sprint vegetable dicer is a hygienic piece of food processing equipment that is easily sanitised and maintened. Furthermore, with only four easily accessible lubrication points, routine maintenance is also simple. A built-in circular knife support assembly combined with the manageable weight of the crosscut spindle simplifies product changeover and in conjunction with other cutting parts, the crosscut knife creates a compact cutting zone to increase cut quality. 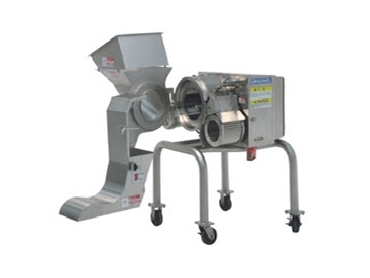 Urschel Laboratories DiversaCut Sprint vegetable dicers also feature across-the-line start and continuous operation for uninterrupted production and increased efficiency.